In the first 6 parts of this series we discussed the types of evidence that can be considered in a court of law (A Preponderance of Evidence), some of the key arguments against evolution (The Trouble with Darwin), one aspect of the massive fraud that accompanies Darwin’s theory (The Icons of Evolution) and we began to explore the many evidences of intelligent design of the universe that exist in the sciences – Cosmology, Biochemistry and DNA. I want to turn your attention now to evidence for the intelligent design and creation of the universe, which are present in another one of the sciences – Astronomy, and more specifically, galaxies. The Evidence of Astronomy (the branch of science that deals with celestial objects, space and the physical universe as a whole). Particularly, galaxies. I have read that we can open any Astronomy 101 textbook and read that our planet is unremarkable, that we revolve around a typical star in an average ordinary part of the universe and that there is nothing on the whole unusual or special about earth. This is referred to in science circles as the Principle of Mediocrity or the Copernican Principle. The trouble is, that is just not true – and they know it. It seems to me that the community of astronomers, astrophysicists and astronomy textbook writers and publishers do not want the earth to be seen as extraordinary in any way. Once again, you’ll be the judge. Carl Sagan, the noted astronomer, astrophysicist, cosmologist, writer of popular science books, articles and papers and science fiction author (he wrote the novel Contact which was made into a movie by the same name) collaborated with Dr Frank Drake, an astronomer and astrophysicist, one of the early pioneers in the organized observational search for extraterrestrial intelligence (SETI). They teamed up to broadcast a message into space with the purpose of capturing the attention of intelligent life forms. The Arecibo message, as it is known, was broadcast into space via FM radio waves at a ceremony in Puerto Rico on November 16, 1974. The message was aimed at the globular star cluster M13, twenty-five thousand light years away. Their thinking was that by transmitting their message toward a place packed with stars, there would be a better chance that it would be picked up by an intelligent civilization. There are nearly 250,000 stars in the M13 cluster, making the probability of an Earth-like planet orbiting one of them greater – or so the reasoning went. 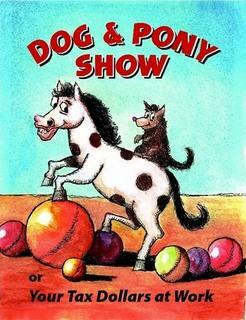 The problem with this whole dog and pony show is just that – it’s a show! It can’t really work. Why? • First, we need to remember that a light year is the distance light would travel in a year. It is going to take that message 25,000 years to arrive at M13. This stunt was bogus from the start. 1. First globular star clusters are the most ancient things in the galaxy and, as such the stars would be made up almost entirely of hydrogen and helium. Earth was formed around a newer star, one having a very high abundance of heavy elements – carbon, nitrogen, oxygen, phosphorous, calcium and so on. These heavy elements are necessary for building a planet like earth. The old stars of M13 are unlikely to have planets revolving around them at all, let alone one like earth. 2. Globular star clusters are so packed with stars that they would not allow for stable circular orbits to exist around them. The gravitational pull of the many stars would cause elliptical orbits that would take a hypothetical planet through such extremes of hot and cold that life on it would be impossible. So, why would two well educated, well known astronomers and astrophysicists put on such a ridiculously absurd show for the world to see? I certainly don’t know what was going on in their minds, but I can speculate. They were without a doubt aware that it was just a show – that it was a futile effort. Two men of their stature couldn’t possibly be ignorant of what we just discussed. Could it be that they wanted to believe in the mediocrity of earth so badly that they were willing to conspire to impose a fraud upon the world in order to perpetuate the idea that our planet is unexceptional, that we revolve around a typical star in an average mundane part of the universe and that there is nothing particularly unusual or special about earth? Could it be that, if earth was special, maybe it was put here for a purpose and they just don’t want to believe that? So, is Earth special? Is it’s placement in the cosmos significant? What about being in line at the drive-thru behind a woman that decides she’d like to pay for the Starbucks order of the person in the car behind her – you! Nice, but think bigger. You’re on the very street corner where a millionaire begins giving out $100 bills to everyone that walks by. Bigger yet! I heard a woman say the other day that she was in the right place at the right time when the perfect apartment became vacant and she was right there to rent it next. One of my colleagues recently said today that she once shared an elevator with Charles Barkley – another right place / right time scenario. Good things happen when the right place and the right time work together. The grand-daddy of all right place / right time scenarios is the placement of an earth of the right size and mass, in an exact orbit around a sun of the right size and mass, with a moon of the right size and mass orbiting around it, placed in a solar system in just the right way which is situated optimally in the right kind of galaxy. All of this works together in an amazing way to make earth an inhabitable place for us to live. Whether you’re looking to start a business, buy a home or place a planet – location is everything. To start with, you’ve got to find the right kind of town or…the right kind of galaxy. The overwhelming majority of galaxies are elliptical in nature and the celestial bodies in them have less stable orbits and the galaxy occasionally lose a sun to a black hole. They are older, with less concentration of heavy elements, so no earth-like planets are likely. Not a very good neighbor hood in which to raise an inhabitable planet. Irregular galaxies are worse yet, distorted and ripped apart. Supernovae go off in their volume throughout so that there is no safe place for a home to human life. As a matter of fact astronomers are discovering new interstellar hazards all the time, the latest being gamma ray bursts which appear to be more powerful than a supernova. The probability of civilizations elsewhere seems to be declining as we discover more and more that the universe is a very dangerous place to would-be Earth-like planets. Places with active star formation are very dangerous. Galaxies have varying degrees of star formation, where interstellar gases come together to form stars, star clusters and massive stars that blow up as supernova. Our galaxy, the Milky Way, is a spiral galaxy and optimizes habitability because it provides safe zones between the “spiral arms” – the only kind of galaxy that does so. In one of these safe zones is where you will find our earth. Our solar system is also placed far away from the galaxy’s nucleus, where there is a massive black hole. As a matter of fact, nearly all of the large galaxies nearby ours have black holes at their center. If our solar system would get close to the black hole at the nucleus of the galaxy, it would be torn apart by the strong tidal forces and be subjected to very high radiation levels from the gamma rays, x-rays and particle radiation that swirl around and there is a lot of supernovae activity in the region of a black hole. Concentrations of heavy elements are toward the center of the galaxy to allow for star formation and consequently the development of planets. The lack of these heavy elements on the outer disk make it less likely to have earth-like planets along the rim of the galaxy. Between the size and placement of planets, gravitational pull, orbits, distance between celestial bodies, degrees of tilt and many more factors – there are literally hundreds of conditions that had to be met in order to make life possible on this truly peculiar orb. Earth really is a magnificently special place above all else in the cosmos. What do you think? When you say you “relied heavily on Lee Strobel” in this series of discussions, I assume you mean “basically plagiarized entire chapters of his book, but changed a few words so as not to make it obvious”. Putting your name as the “author” of an article that is nothing more than a paraphrased version of someone else’s work, offering only a half-hearted credit at the end of SOME of them, is ethically dubious at best, and plagiarism and fraud at worst. Give real credit where credit is due. First, thank you for your comment. It was not my intention to plagiarize Mr Strobel’s work and felt as though indicating that I relied “heavily” on it was giving credit where credit was due. That being said, I am not an academic and, while I feel as though credit was given, I cannot ignore the fact that you, and possibly more readers, do not think so. I have made some changes in the posts to make it more clear that a substantial amount of the discussion comes from Strobel’s work. I’ve included as much in the discussion, made sure that credit was given at the end of each post and clarified the fact that much of the post is dedicated to the presentation of the evidence for design. My interest in these posts is not to bring attention to myself, but to share with my friends, family, coworkers and readers of this blog the existence of a loving God who cares for them. Thank you for pointing out the appearance of impropriety.